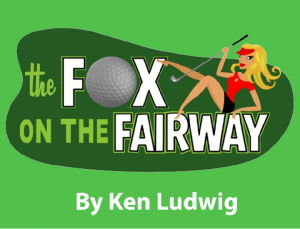 A tribute to the great English farces of the 1930’s and 1940’s, The Fox On the Fairway takes audiences on a hilarious romp, which pulls the rug out from underneath the stuffy denizens of a private country club. Filled with mistaken identities, slamming doors, and over-the-top romantic shenanigans, it’s a furiously paced comedy that recalls the Marx Brothers’ classics. A charmingly madcap adventure about love, life, and man’s eternal love affair with… golf.